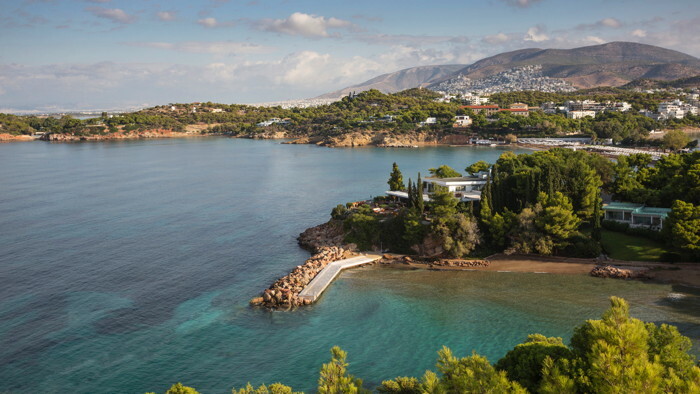 The hotel is located 25 kilometres (16 miles) south of Athens and 24 kilometres (15 miles) from the Athens airport in the area of Vouliagmeni along a pristine shoreline of the Aegean coast. The new Four Seasons Astir Palace Hotel Athens is now confirming reservations for arrivals beginning March 29, 2019. On property, there will be three private beaches and three swimming pools; a tennis academy, basketball court and non-motorised water sports; a fully supervised kids club; and an all-new spa and hydrotherapy house inspired by time-honoured Greek traditions. Dining and drinking options abound at seven restaurants and lounges, including Italian trattoria Mercato, Greek seafood restaurant Pelagos, authentic beachfront Taverna 37, Latin American-inspired Helios Grill at poolside, Aristotle&apos;s Cigar Bar and more. Accommodations include three options  the mid-century modern Nafsika building with azure sea views from every room as well as lively scene through several of the Hotel&apos;s restaurants, pool, fitness centre and boutiques; chic, laidback relaxation in the Bauhaus-esque Arion, which in addition to well-appointed rooms also houses several of the Hotel&apos;s restaurants, as well as the Hippocrates-inspired spa with indoor pool; and the ultimate in beachside luxury in one of 61 renovated Bungalows nestled among the trees at the water&apos;s edge.